I love being surprised by brands that are affordable. I was really impressed by Prestige Cosmetics and their Total Intensity line. If I had to choose one word to describe the rich formulas and pigmentation, it would definitely be - intense! When I first discovered the black eyeliner in this line, I was stunned by the pigmentation and even more stunned by the price tag. These products pack a punch and you won't go broke building your collection. This has to be one of the smoothest, most pigmented, "blackest black" liners I've ever had. 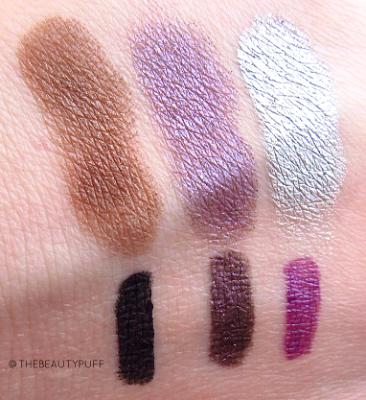 The formulation reminds me of the Urban Decay 24/7 liners... and it's no where near the price. I actually found this formula to be even smoother than Urban Decay, so it wins in my book. It is so intense, I recommend applying much less than you need at first, and blending with a liner brush until you're used to the formula. I apply a very light layer and smudge the liner for a smoked out look. You can go as bold as you dare with this one. I applied way too much of this mascara when I first used it because I had no idea how pigmented it was! You need very little with this formula, so use a lighter hand than you would with other mascaras. The tapered end of the brush gets the inner corner lashes just fine and the larger end coats every single lash. I am surprised each time I wear it by how different and glamorous my lashes look. I don't have short sparce lashes, but this mascara is proof that you don't need false lashes to enhance your look! Highly Pigmented in Wicked - The most versatile formula that provides a bit of shimmer, dimension and blends beautifully. 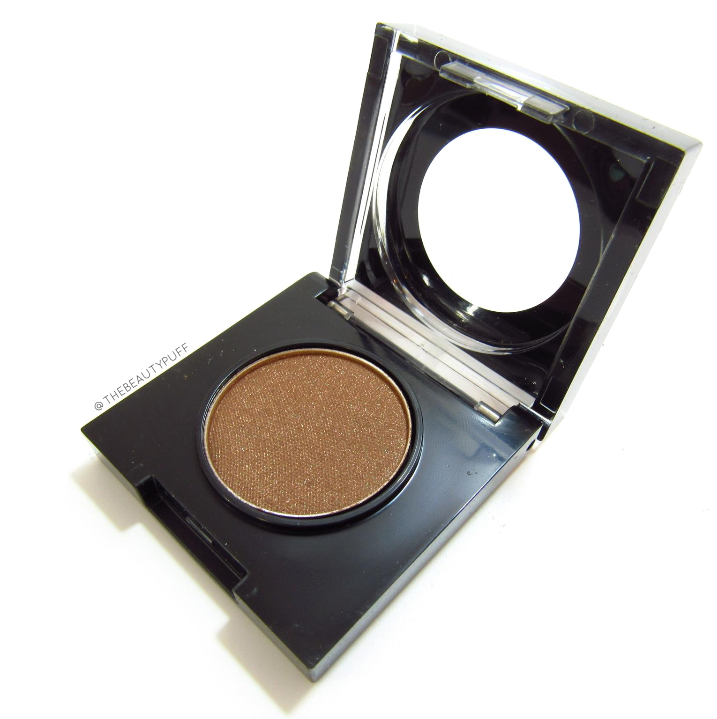 Your everyday brown shadow kicked up a notch! True Metals in Sterling - The most metallic, intense formula. This is the most pigmented silver I have ever owned. If you only have one silver in your collection - this should be it! All three of these formulas are fabulous, it just depends on what look you are going for. While they certainly have vivid colors in the collection, there are also great neutrals too. No matter which shadows you choose, you'll get smooth and buildable color, but it doesn't take much with these to get ultimate color payoff! If you're looking for a more subtle way to bring color into your makeup routine, liquid liners are great. This shade is a vivid purple, but there are also basic shades in this collection as well. Most often, I use this type of product on my lower lashline. It adds interest but still remains very wearable. I really like wearing shades like this in the spring and summer because it's not as deep as purples I tend to wear in the cooler months. However you decide to wear this one, it's really pretty! 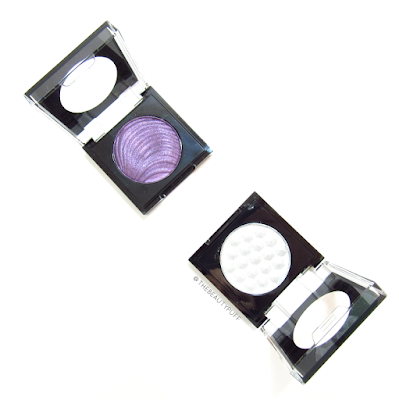 This is a vibrant purple you can incorporate with neutral shadows, or use all over the lid on its own. It blends beautifully and can also be used as a liner! My latest obsession (for a while now) has been shadow sticks. 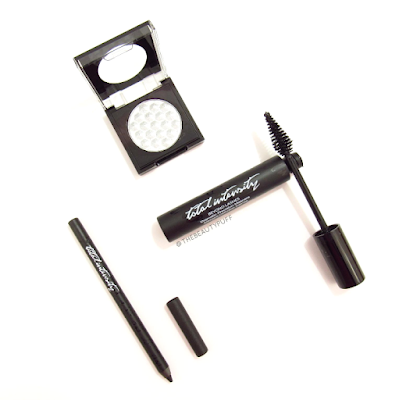 The ease of use and versatility make these my go-to product when I'm in a rush, or just lazy. I love that you can travel with these type of products without the need for a brush and you can build the color to create different looks. Just check out those swatches!! 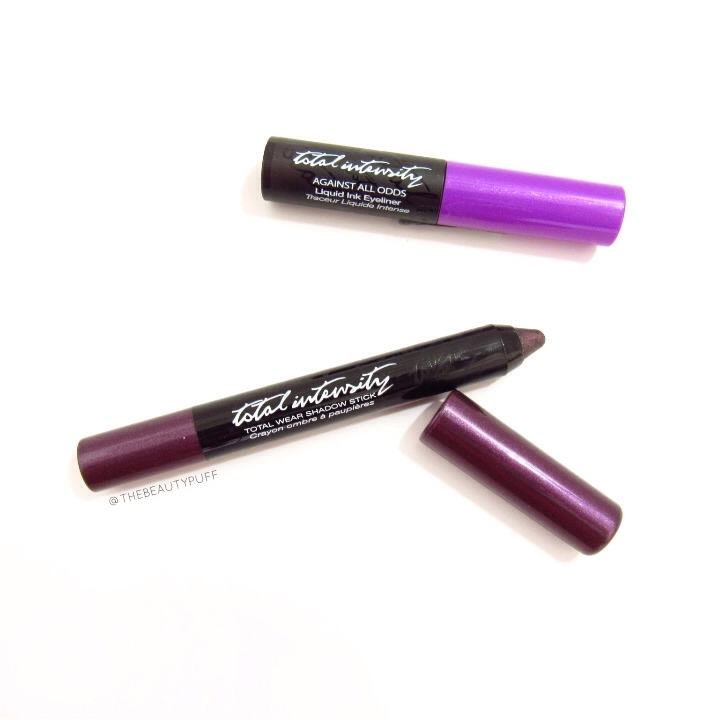 Everything wears beautifully and the liners do not budge when swiped after application. After I washed the swatches off my hand with standard hand soap, the powder shadows washed off completely, the black liner and shadow stick left traces but the liquid liner barely budged!